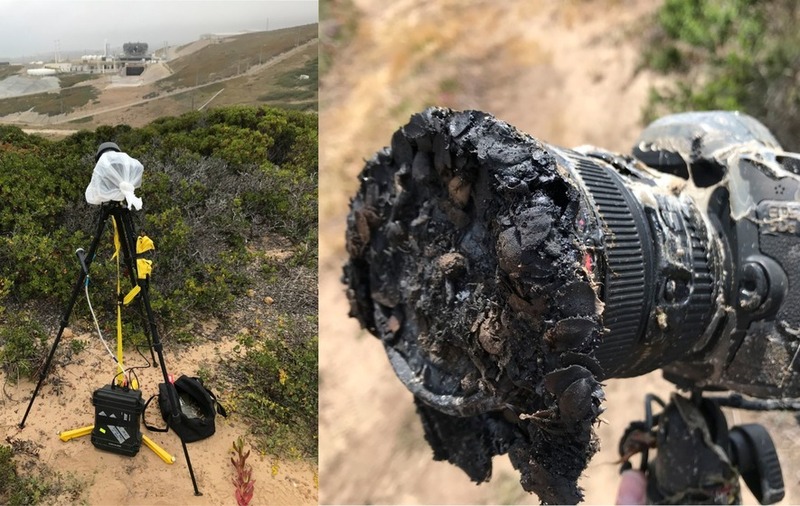 The camera, set up by a NASA photographer, could not complete its mission as flames from a small brush fire damaged it. When NASA launched a SpaceX rocket last week, it is probably fair to say that the last thing they expected to go wrong was a camera melting. Yet that is exactly what happened after NASA photographer Bill Ingalls placed one of his remote cameras outside the launch safety perimeter. The footage has been made into a GIF and shows ruthless flames from a small brush fire, sparked from the lift off, approaching the device. Despite the lens having fused itself together, the SD card was undamaged and shows what the camera captured in its demise. “I had six remotes, two outside the launch pad safety perimeter and four inside,” said Ingalls, who has been shooting for the space agency for three decades. 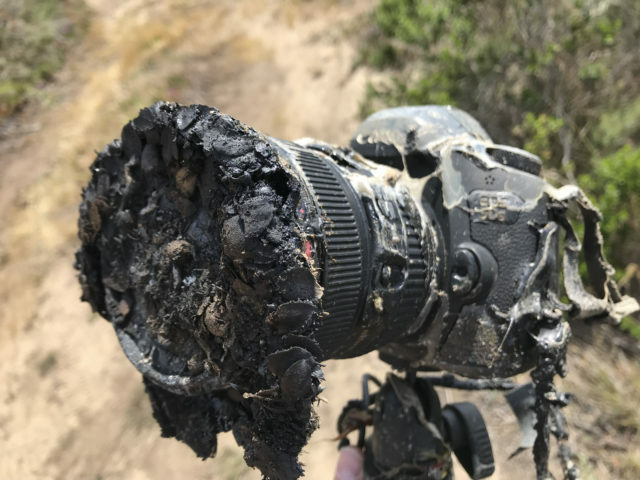 “Unfortunately, the launch started a grass fire that toasted one of the cameras outside the perimeter,” he said in a post on NASA’s website. Amazingly, the camera was positioned a quarter of a mile away and was one of the furthest from the launch pad at Vandenberg Air Force base in California. Ingalls aptly named it “toasty”. 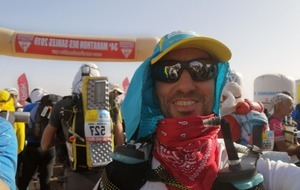 The other cameras closer to the launch and within the safety perimeter were unharmed, as was the second remote device. Thankfully, it is not the end for the piece of kit, which will receive posthumous glory as it is likely to be displayed at the NASA headquarters in Washington DC.